If you have dental insurance, then you have the good fortune of being able to care for your family’s smiles at reduces rates for service. Would you like to lower the costs even more? All you have to do is choose a dentist that is in-network on your plan. Benchmark Family Dental is proud to be in-network with Delta Dental. 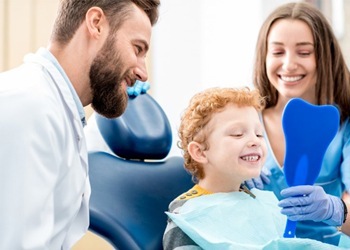 Delta Dental has the largest network of dentists in the United States, so your employer has chosen one of the most reliable and trustworthy insurance companies for your dental care. 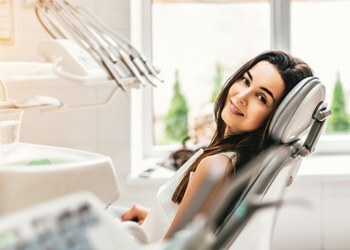 You can best take advantage of your dental benefits when you schedule regular preventive dentistry appointments with Dr. Caraveo or Stringham. Delta Dental PPO and Delta Dental Premier allow you to see any licensed dentist you choose. However, you’ll probably be able to save money if you go to a dentist that is in-network. With DeltaCare USA, you must select a primary care dentist from the network. The coverage you receive from Delta Dental depends on your plan, the dentist you visit and the treatment you receive. Under most Delta Dental PPO and Premier plans, a specified percentage of the cost is paid by your insurance. Then the amount you owe depends on the dentist’s fees. Therefore, your costs may be lower when you visit Drs. Caraveo and Stringham. Because they are in-network with Delta Dental, your insurance will cover more of the fee. Some plans use a table of allowance that shows the specific dollar amount paid for each procedure. You pay the difference between the allowance and your dentist’s accepted fee. Prepaid plans, like DeltaCare USA, have set copayments for each service, so you can calculate in advance how much you’ll owe the dentist. Most Delta Dental insurance plans work within a benefit period, which is usually a year, but not always from January through December. There are yearly maximums and limits that are usually applied to each member of your family. Our team will be glad to work with you to ensure that you reap the most from your benefits in a year and stay within your budget. Janelle is the person to talk to at Benchmark Family Dental when you have a question about your Delta Dental insurance. She’s in charge of filing your claims, and she works to make sure you receive the maximum your plan allows. Janelle will also verify your coverage before treatment. She and the rest of the staff are dedicated to making sure you receive the dental care you need at a price you can afford.